You've stayed up late. You've waited in line. You've seen the movie. 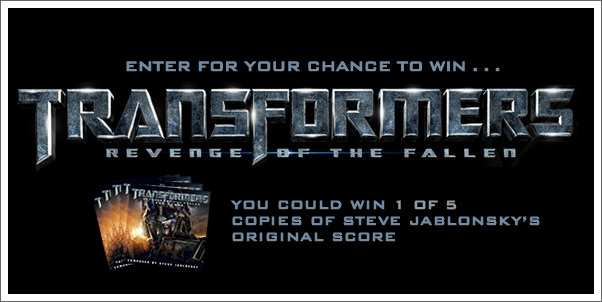 Now, Tracksounds and Reprise Records want you to win the original score for TRANSFORMERS: REVENGE OF THE FALLEN by Steve Jablonsky! You could win 1 of 5 CDs. Simply enter your name, email address and tell us which Transformer you wish you could be and why! All too easy.